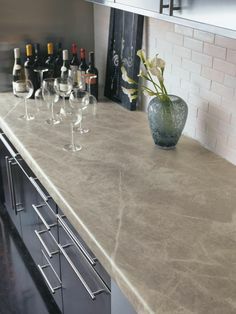 Laminate countertops have much to offer you including a vast spectrum of colors, patterns and styles plus a price point that leaves room for other kitchen updates. 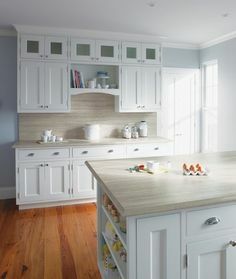 Also known as plastic laminate countertops to reflect their surface material, they are the most popular single type of counters installed in new and existing homes. 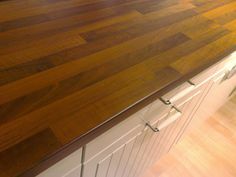 The most comprehensive of these pages is the Laminate Countertop Buying Guide. 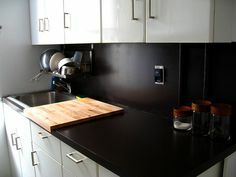 It covers laminate kitchen countertop prices, pros & cons and common FAQ with answers. 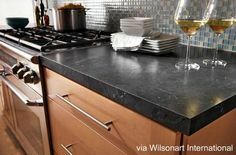 You’ll enjoy comparing materials through our countertop guide sets that cover granite, marble, tile of all types, porcelain, lava, solid surface, stainless steel, recycled glass, reclaimed wood and more. Beyond the guides on specific countertop materials, you might benefit from a look at our Kitchen Remodeling Cost Guide. We examine costs for all the components you might consider for your home including flooring, cabinetry, backsplashes and more. Since every component is available in good/better/best types, we break down your kitchen remodeling estimates into basic, moderate and expensive materials. 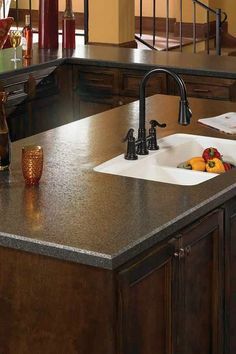 Take a look at beautiful examples of laminate countertops that are part of complete kitchens on our popular Pinterest page. It’s a wonderful place to be inspired as you plan your kitchen design and the components that will make it awesome. One of our goals is to help you locate the right person to do your kitchen work. Proper installation is essential to the enjoyment you receive from your kitchen and the durability of the components you use. The service we offer is free to you, and there is no obligation. The kitchen contractors who provide you with written estimates are local and have been pre-screened for expertise. Finally, they know they’re competing for your work, so offer the lowest price estimates they can.